That sounds like an anime or manga? Sorry, I'm not really a reader of either but according to my friends, Japanese are all about honor and doing extreme things to themselves if they do something dishonorable. yeesh. Thank goodness I was not born into that era! The softsubs are synced as labeled. so links from now on will be from RapidShare file host. Nope! You're not the only one. Haha. I do homework and the dramas are like complementary dish that comes with it you know? Like finish everything, and I have the dramas to watch afterwards, like a reward (;. I think of it that way. But I can't go back and replay it, because I just like to see it ONCE, to imprint the scenes in my head and not repeat it. For the freshness of it (;. 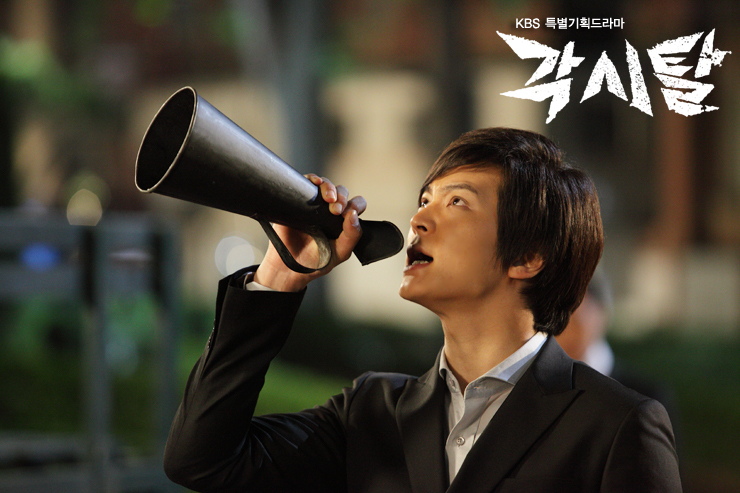 Argggg, Joo Won is so handsome!!! He's annoying the heck out of me though -.- Lol, I can't help but laugh when he gets mad though..something about his voice when he's angry is funny. I can't wait for ep 5! I have to disagree because what about that part (I think ep. 4?) in the woods, after he saved her - there's a moment where their hands brush and his lingers for just a moment. The camera pans to his face and there's definitely some type of flickering in the eyes. @endeavor: Re: the stunt doubles -- So that means we can tell, later on, if it's Joo Won who's doing his own stunts for certain scenes. LOL. Does that mean we're ruling out the idea that there may be more than one Gaksital? I guess we should all wait until then to see if it was really a stunt double or another Gaksital! LOL! Hahaha you're right. It just really bugged me that the main characters seem to heal way to fast (aka the beat up interrogation scenes for both KT and MD). Also thank you for the past history of the Japanese Samurai. Although I should have watched Tom cruises Last Samurai movie, never gotten the chance. All I know is, the drama is portraying the Japanese clan to be the main antagonists and they are doing a good job at it! I hope they do not show anymore self- honor stabbing though. I could not bare to watch anymore. Haha! I wasn't so thrill about Last Samurai so I'm hoping 47 Ronin with Keanu Reeves would be better but in my eyes the best samurai movies will always be Kurosawa Akira's. No one does samurai movies like he does <3. I don't think they'll do any more but I'm kind of curious about it too. Kimura Taro mentions that he was wondering aimlessly and it makes me think he was a ronin (masterless) but at the same time the president of their clan is a samurai so maybe one can say that he's the master. If that's the case when Kimura Taro fail (which we can kind of guess that he will since all evil people in dramas tend to do) does that mean that he'll perform seppuku? But yeah, I definitely agreed about them getting better too unrealistically. It's like they were given some magic potion or something. LOL! Neither do I. I've mentioned it before that something has to happen to him before Kang-to takes up the identity of Gaksital. I just hope whatever it is I just hope it's not death or something similar. Do you guys think Kangto will die in the end? There are some people saying it though. Because he has done so many bad things, so the only redemption will be him dying in the end. I dont hope so actually. I hope he will live and overcome what the bad ones did to his family, his brother, Mokdan and the citizens. I hope Kangtoh and Mokdan will end up together happy cuz they really do deserve it. This is adapted to a manga right? But where can I read that manga? Does Kangtoh die in the end? I don't think Kangto will die (I HOPE NOT! Or I'll be so angry) but as for Kangsan I have a strong feeling he'll die in which Kangto takes his place as the Bridal Mask I'm really interested in HOW Mokdan will gain feelings for Kangto? Maybe when he adopts himself as the Bridal Mask? How the hell will he steal her heart? Right now he's literally stabbing her heart (sorry for the pun ) @marie67 - I think it's quite hard to get a copy of the Bridal Mask manhwa as it's so old, but I really do hope someone can post some details/happenings of the original story! just finished ep 4 and it was great!! the drama is picking up its emotions... hehe.. Joo Won screams too much though.. lol..
Made by Korean fan.... What did Kangto found in Shunji's closet..? anyone know what happened to am addiction site? I think they called it after megaupload shut down. In a sense, it is a stunt double and it is not. Bridal Mask might have more people than just Kang-san. It might be an organization. The stunt double or another Bridal Mask happens to be there because Kang-san asked him to be a distraction, so he could save Mok Dan. If you go back and see it, after the "fake" Bridal Mask distracts the guards, Kang-san leap onto his horse and save Mok Dan. I think the director is very smart. He uses a stunt double for the drama AND make it seems like that stunt double is an actual character in the drama, like a filter character. I don't know if that make sense? lol. So later in the drama, if Kang-san were to have a distraction again he can ask another person in the Bridal Mask's company to go and make one, and of course that person might actually be a stunt double, being use as a character. You're freaking awesome . So many pictures (:. Does somebody know when the first OST will be released? The recent two episodes gave me an adrenaline rush! The last time I had such a thrill was when I was viewing The Princess's Man. I can't emphasize this drama's organization any further. Bridal Mask is very a well-rounded drama thus far. I know that I had a different perception with the first episode, but at the rate/pace this drama is moving along, my original opinion can be dismissed. I now will admit that I quite like the slow motion parts, especially the one at the end of episode 3. I don't know if that means I got used to it, or that the slow motion captures look less cheesy. Either way, they feel epic now - haha. The casts is expansive. The storytelling and characters have a lot of depth and room for development. 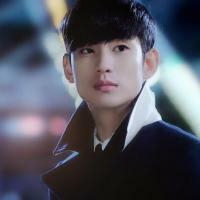 Heck, I've never seen a more violent/menacing/vulgar protagonist in any Korean dramas up-to-date. In fact, I actually admire the scriptwriter for making him so flawed. I applaud how she's not afraid to depict a loathing hero who was originally succumbing to the dark side. When Kang To says he will hurt you, HE WILL DO IT. It's absolutely wonderful how the scriptwriter makes us hate/love him all at the same time or within a span of a few actions. I'm tired of knights in shining armor because most of them are written in a very generic/formulaic manner. Anyhow, Joo Won and Kang To go hand-in-hand. I can't differentiate b/w the two because I'm already so absorbed into the turmoil he has to face. I must also add that I'm glad they chose a newer casts. 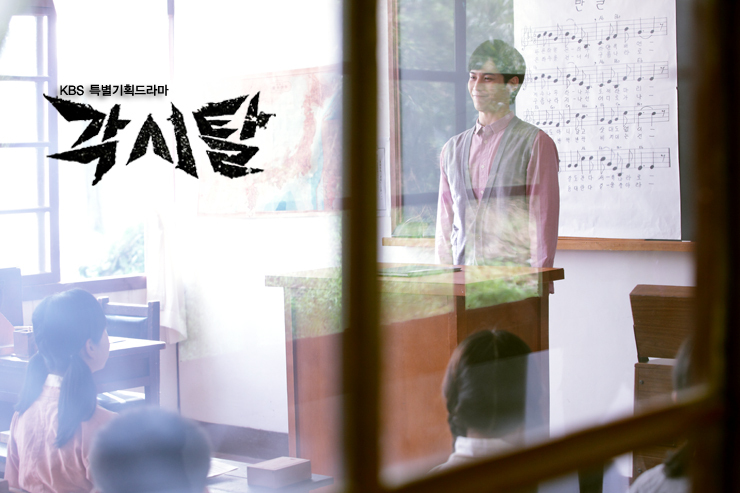 It gives these well-deserved actors a chance to shine, especially Joo Won. He's much better than some of the more well-known actors. I love how some of the flashbacks are interconnected; meaning they follow a sequence of past events. The fact that they successfully connect one flashback to another shows how the drama is organized and consistent. Moreover, the flashbacks are so well put together because they have a meaning behind them! I know a lot of Korean dramas just put flashbacks for the sake of filling in time, but not this drama. 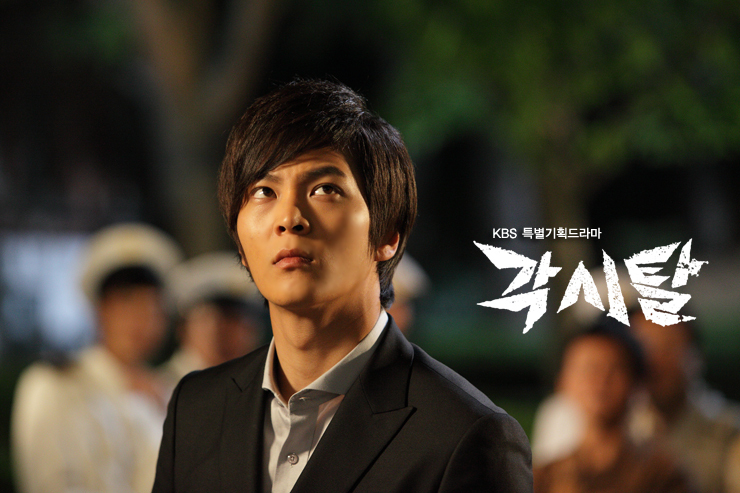 Bridal Mask also have different/refreshing elements that its previous competitors have not touched on. I mean, I never imagined having a circus crew in a drama, let alone an evil protagonist who beats up a his woman. There's also a distinct/realistic tone to this drama; it's dark. The characters are shady and the "world" they're in feels like there's little hope. That is exactly the tone this kind of drama needs - no sugarcoating. The more appropriate description would be that it's raw. All in all, so far, great performances, intense script, rich cinematography/background/designs, nail-biting/emotional events, and highly intriguing characters. What more can I ask for when only 4 episodes have aired? My favorite drama list out of the batch I'm watching keeps changing... but for sure, this one looks like the most luxurious one since the beginning. I hope more people give Bridal Mask a chance. @starlilet i couldnt agree more.